1. A book filled with 175 mouthwatering cupcake recipes and decorating inspo for keeping your sweet tooth extra satisfied. Some notable recipes include campfire s'mores cupcakes, molten caramel apple cupcakes, Aztec Chile-chocolate cupcakes, and almond-filled white Christmas cupcakes, just to name a few. Get it from Amazon for free/Kindle Unlimited, or $11.39/paperback. 2. A two-pack of muffin tins to bake all your yummy cupcake creations in – of course you need a two-pack, because double the fun, amirite or amirite?! Pans are made of non-stick coating carbon steel so your treats will bake and brown easily! Plus, they feature silicone inset handles so you can firmly and comfortably grip the pan. And best of all, they're dishwasher-safe! Get them from BuzzFeed's Tasty line, exclusively at Walmart for $13.99. 3. And a 48-cup tin that'll have you whipping up adorable bite-sized treats. Scientifically speaking, you can eat like a million times the amount of cupcakes you'd normally eat if they're miniature...I think. Get it from Amazon for $14.49 (originally $20.99). 4. 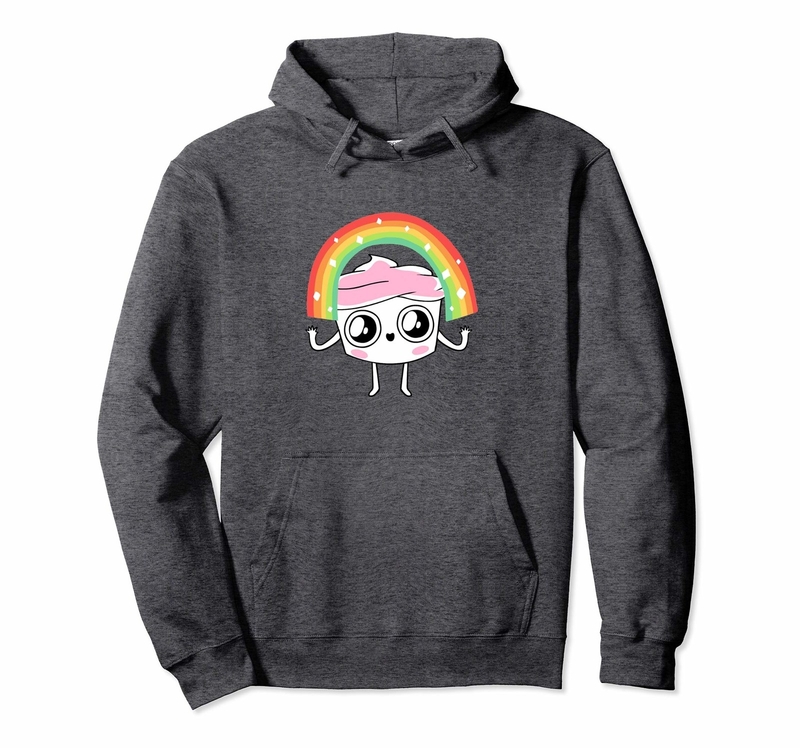 A piece of Good Advice Cupcake merch like the cozy sweatshirt on the left or the PopSocket on the right — this adorable lil' buddy just wants to give you the best tips a baked treat can give. 5. A set of cupcakes in jars for those who know the only thing better than biting into a delicious cupcake is taking a spoon, scooping it into a jar, and eating the cupcake as such. You'll get the following flavors: Red Velvet Elvis, Salted Chocolate Caramel, Happy Birthday to Me Vanilla, Here Comes the Bride Almond, Peanut Butter Blackout, and Boston Cream Pie. Get them from The Flying Cupcake on Etsy: 6/$46+, or 12/$88+. 6. 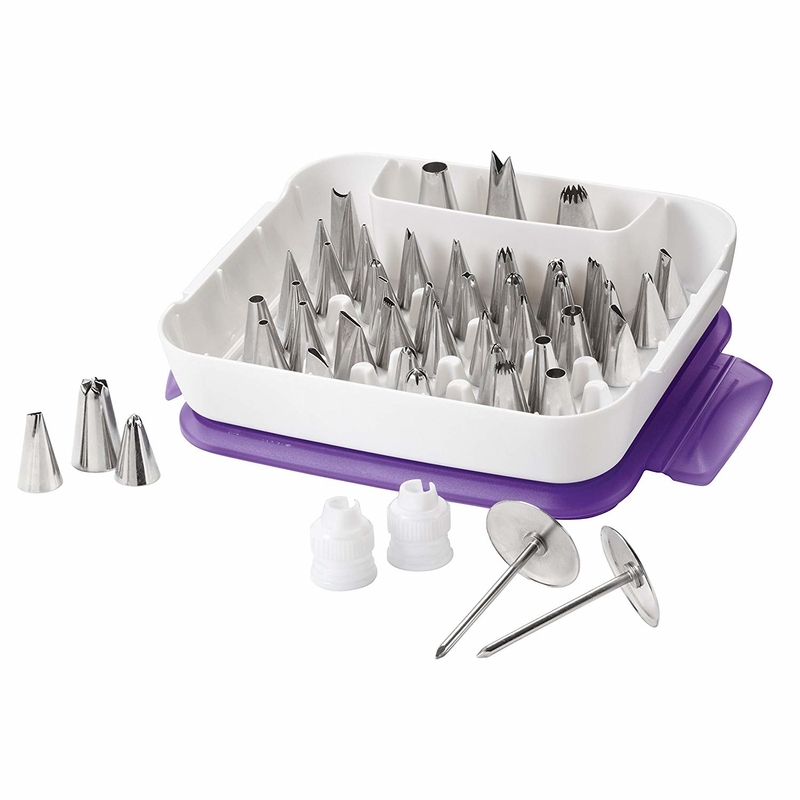 A 55-piece decorating set that'll have you creating the most intricate, gorgeous desserts. Get it from Amazon for $34.80 (originally $69.99). 7. 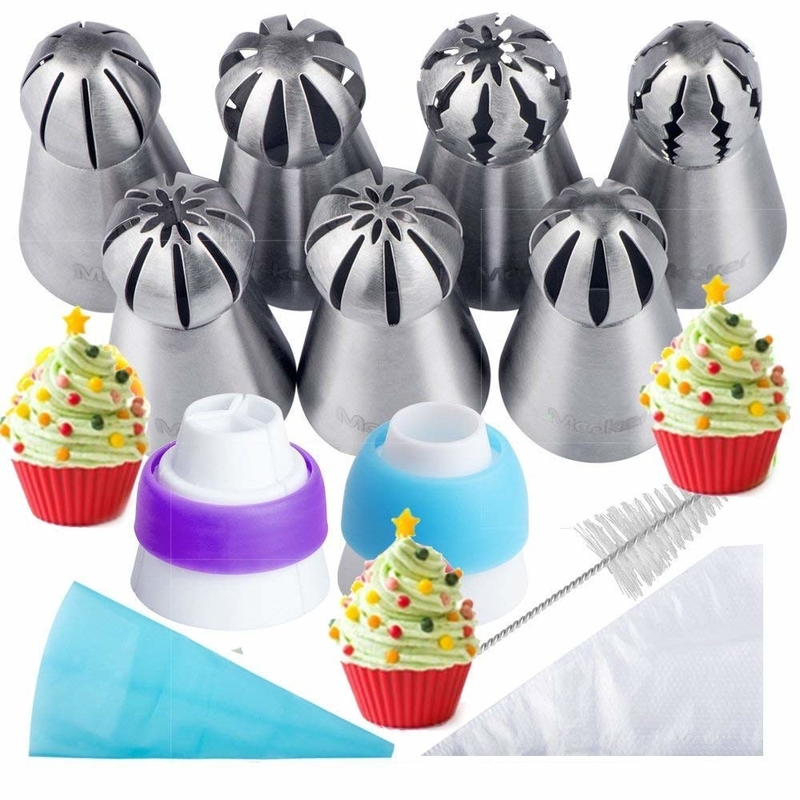 And while you're at it, you're certainly gonna want this 21-piece Russian piping tip set so you can decorate treats worthy of winning prizes. This set includes seven Russian tips, 10 disposable pastry bags, two couplers, one reusable silicone pastry bag, and one cleaning brush. 8. A cross-body bag for storing all of your personal belongings like your keys, chapstick, phone, oh, and, uh, YOUR MONEY FOR CUPCAKES! 9. 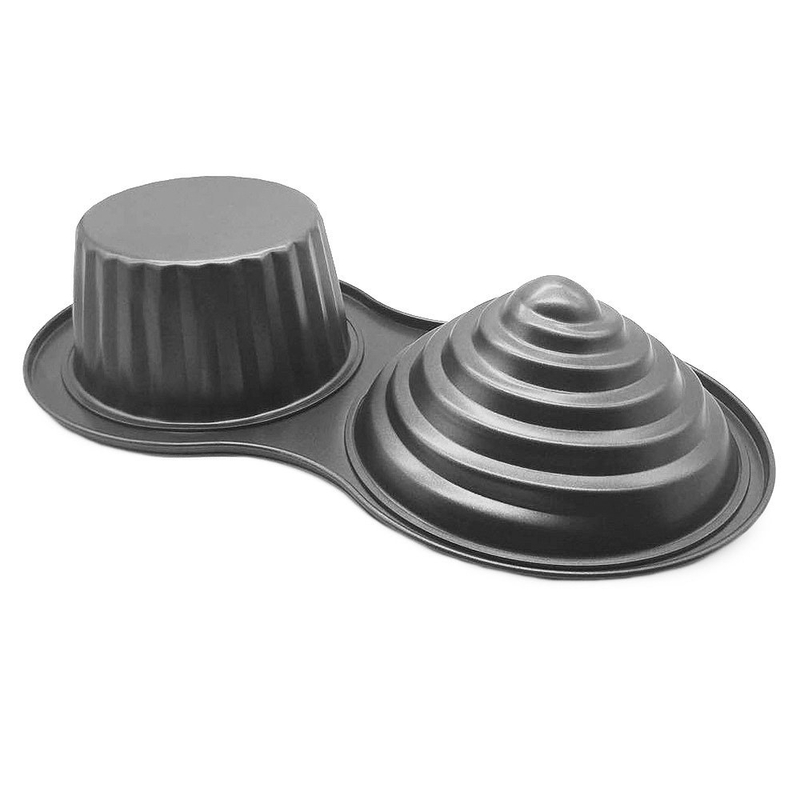 A pack of reusable silicone baking cups to make baking your fave treat a greener experience, while saving you some $$ in the long-run. No more throwing away paper cups, just bake with these, throw in the dishwasher when done, and repeat! Get them from Amazon for $7.99/12, or $9.98/24. 10. And if you're looking to make things a bit more ~fun,~ grab this 24-pack of cups in a variety of shapes that'll make your cupcakes even more exciting! These cups are made of food-grade silicone and are FDA-approved and BPA-free. They are microwave-, oven-, refrigerator-, freezer-, and dishwasher-safe, and can withstand temperatures of up to 450 degrees F. It comes in four shapes: round, star, heart, and rose, and six colors: red, pink, purple, yellow, blue, and green. 11. A 15-piece bowl and baking set for replacing all of your old kitchen tools, and adding a fun pop of color into your baking adventures. Set includes a 7 quart mixing bowl with a lid, a silicone spatula, a silicone whisk, a silicone spoonula, a five-piece measuring spoon set (1 tablespoon, 1/2 tablespoon, 1 teaspoon, 1/2 teaspoon, and 1/4 teaspoon), and a five-piece measuring bowl set (measurements ranging from 1/8 cup to 2 cups). The silicone utensils are all safe to use on non-stick cookware! 12. A cupcake-scented fragrance oil to use in a diffuser and make any room of your home smell more like your favorite bake shop, or to add into homemade bath bombs. 13. A rainbow chip cake mix and rainbow chip frosting for the intellectuals who know funfetti cupcakes are truly the best kind. Get them from Amazon: a box of rainbow chip cake mix for $1.49, and the rainbow chip frosting for $12.72/eight. 14. A cupcake maker that'll become your new favorite kitchen gadget, because its only job is to bake up the best food in existence. Get it from Amazon for $27 (originally $35). 15. A four-pack of cupcake candles for some lighting that's so yummy-looking, you might be tempted to bite into them rather than light 'em up, hehe. Get them from Candlelit Desserts on Etsy for $24.99 (available in various "flavors"). 16. An oversized beach towel to ensure your passion for the sweet treat follows you everywhere, even the most unlikely of cupcake-eating destinations. 17. A unicorn cupcake kit that'll turn your kitchen into a magical fairtytale, and finally bring you the unicorn you've been wanting since you were a little kid. All you need is your own butter, eggs, and milk — or oil and non-dairy milk if you're tryna make these vegan. This kit includes organic vegan fondant, colorful sprinkles, vanilla bean cupcake mix, vanilla bean buttercream mix, rainbow baking cups, a piping bag, and a recipe card. Yields approximately 12 cupcakes! Get it from UncommonGoods for $30. 18. 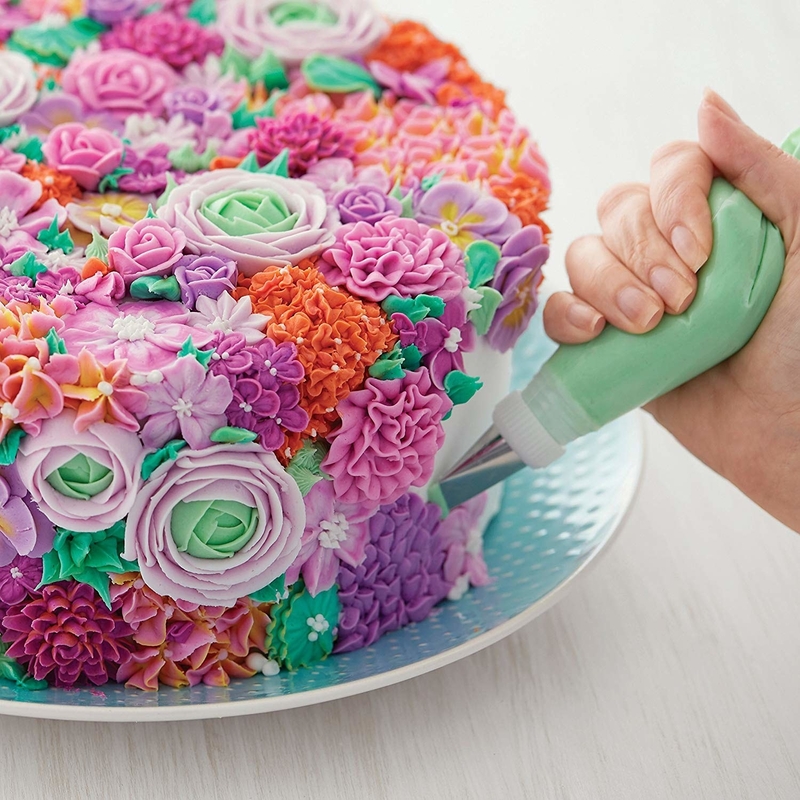 A 3-color piping tool to leave people wondering what the heck your decorating secrets are. Don't worry, we won't tell anyone. This comes with a coupler, decorating tips, and disposable decorating bags. Promising review: "I thought this was a lot of fun to use. It's nice to get the three colors without trying to put all three icings in one bag. I was able to pipe an entire 9 inch layer cake in about 15 minutes with adding a bit more icing to each bag near the end. Getting the three couplers to lock together requires that you cut the bag at the right point so that the plastic bag doesn't cover the notches and grooves that are meant to interlock. I will definitely be using this again." —Nicole S.
Get it from Amazon for $4.36 (originally $7.95). 19. A KitchenAid stand mixer for ensuring your love of cupcakes lasts for years to come, because, for real, this thing is gonna last you a heck of a long time, BB. Get it from Amazon for $349.99 (originally $569.99, available in 26 colors). 20. 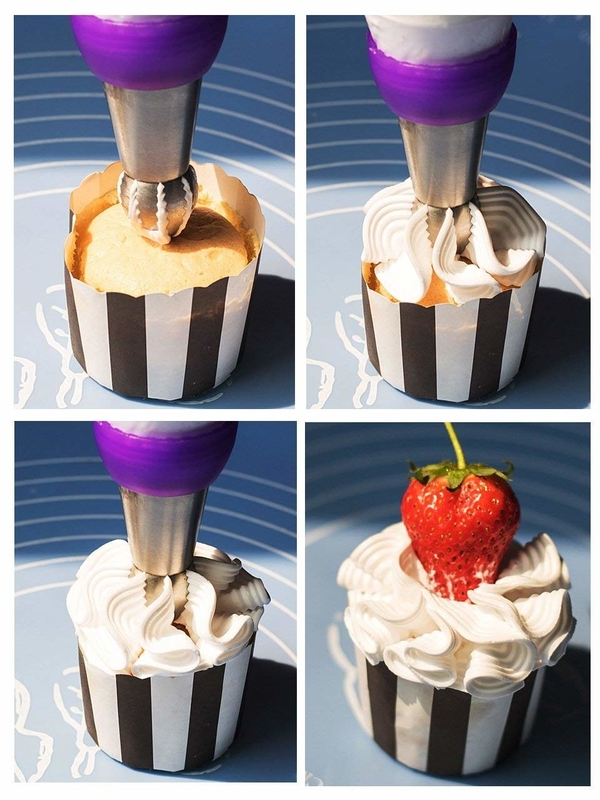 A dessert decorating tool to make the top of your cupcakes look super pretty, no matter your decorating skill level. Get it from Amazon for $7.54 (originally $14.99). 21. 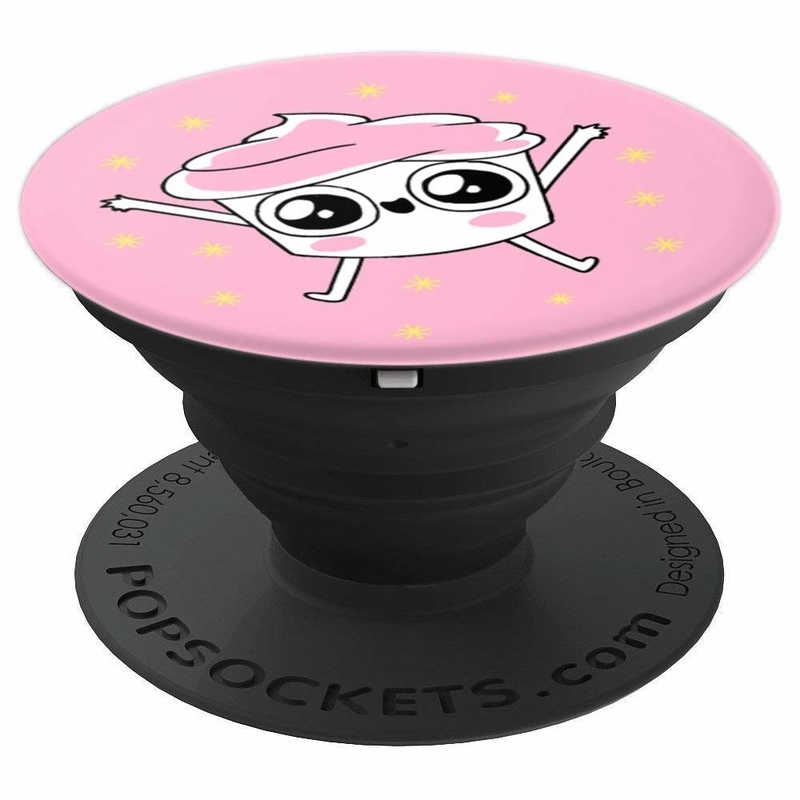 A cupcake corer that'll take out the center of the cupcake so you can replace the cake with a yummy filling like custard or jam. 22. A giant cupcake pan you can use to bake a cake-size cupcake, so if you're celebrating a birthday, you can still enjoy your favorite treat, just in like, bigger form. 23. A 12-pack of hydrangea cupcakes for a treat to make anyone's taste buds blossom. Get them from Dean & DeLuca for $65. 24. 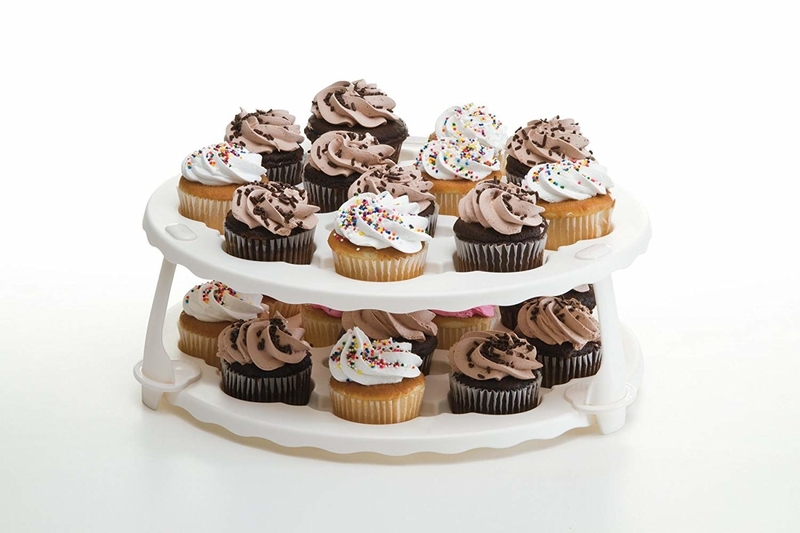 A collapsible cupcake stand and carrier that'll make a pretty display of your cupcakes, and provide easy transport for your goodies wherever you may be bringing them. 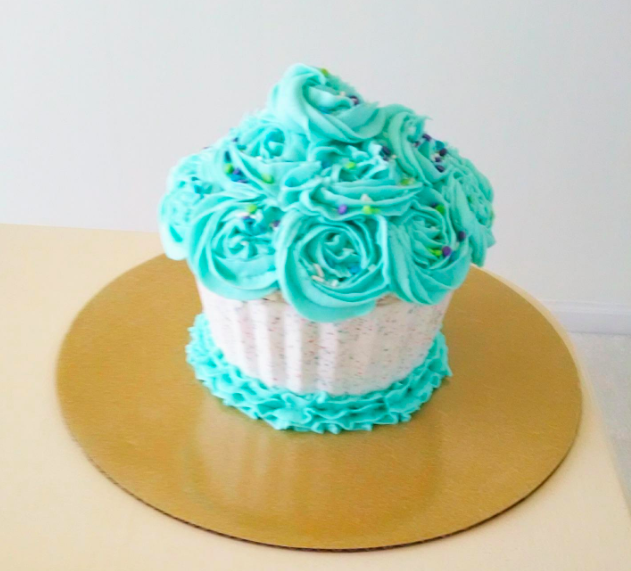 This can hold up to 24 cupcakes! 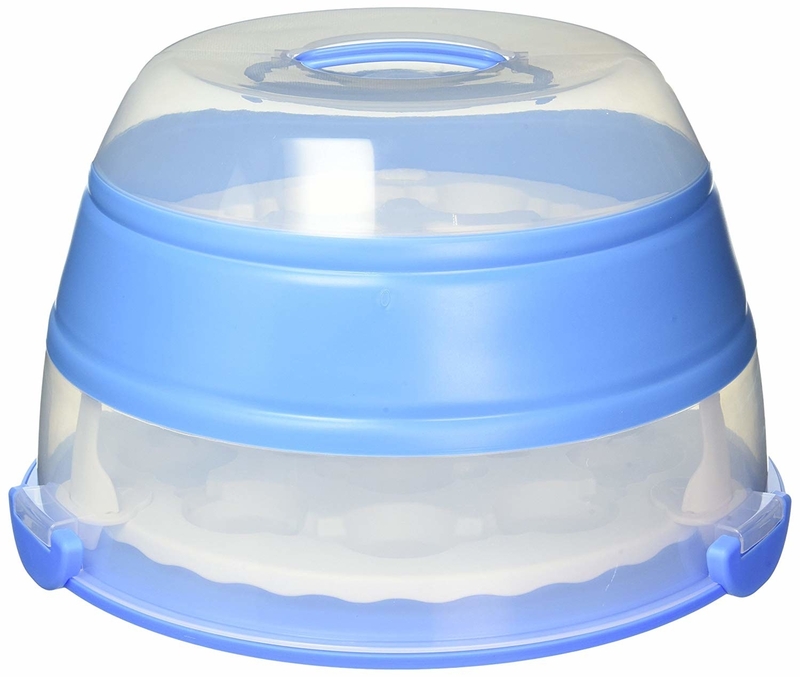 The trays themselves are BPA-free and dishwasher-safe! Get it from Amazon for $27.99 (originally $32.99). 25. An Amazon gift card in a cupcake tin perfect to gift the person who has the same exceptional taste in desserts as you. Get it from Amazon for $25+. 26. And an adorable little cupcake lip gloss that'll give your lips a subtle shimmer, the same way your favorite cupcake flavor gives your taste buds a shimmer.